Last season’s Group 1 Phoenix Stakes winner Zoffany has been retired from racing and will join the Coolmore roster for 2012. The son of Dansili and Machiavellian’s useful daughter Tyranny was the most precocious two-year-old of his generation at Ballydoyle winning no less that five races in his first season culminating in a Group 1 success over six furlongs in the Phoenix Stakes at the Curragh. “He’s a very good two-year-old with a great turn of foot, but he also has the scope to do well over a mile next year,” said his trainer Aidan O’Brien following that success. As a three-year-old Zoffany came closer to Frankel than any other horse this season when beaten under a length in the Group 1 St. James’s Palace Stakes at Royal Ascot. This was followed by another fine effort when a head second to Mutual Trust in the Group 1 Prix Jean Prat at Chantilly. Back in third that day was Strong Suit who had also finished a close-up third behind Zoffany in the Group 1 Phoenix Stakes. 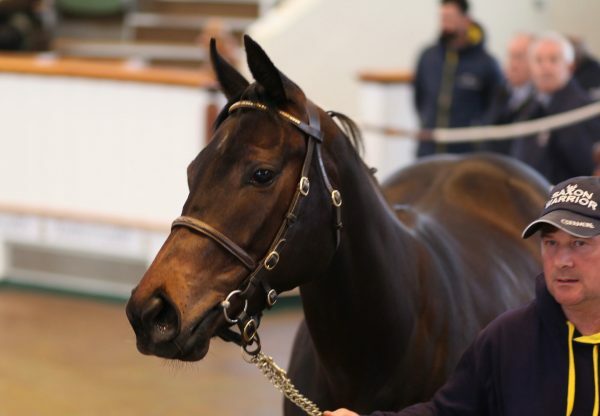 “Zoffany was a really smart two-year-old by a very good sire in Dansili. He’s also a very well-made horse with great movement so we think he has a lot of appeal,” said Coolmore’s Eddie Fitzpatrick.